Discover a proven method for packing and moving that will increase your productivity while offering optimal savings. 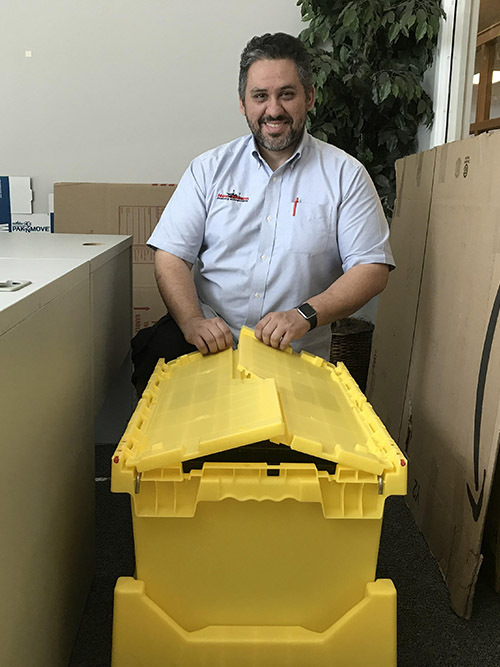 The many advantages of buying or renting genuine E-Crates®. Never lift a full box again. 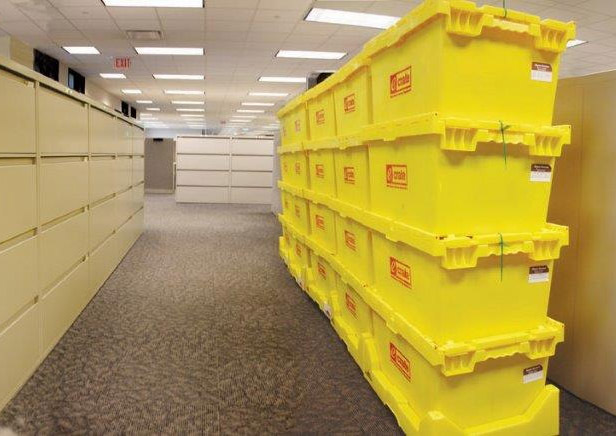 E-Crates® can be easily stacked four high when packing and moving— and then effortlessly rolled around small spaces, tight cubicles and corners with little physical exertion or risk to the walls or property. Unique ergonomic handle make carrying comfortable, and its attached, interlocking lid and tight fit ensures you will never lose your valuable contents. 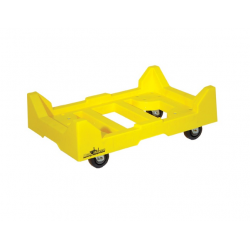 Custom-molded anti-skid lid and traction bottom surface help to prevent slippage. 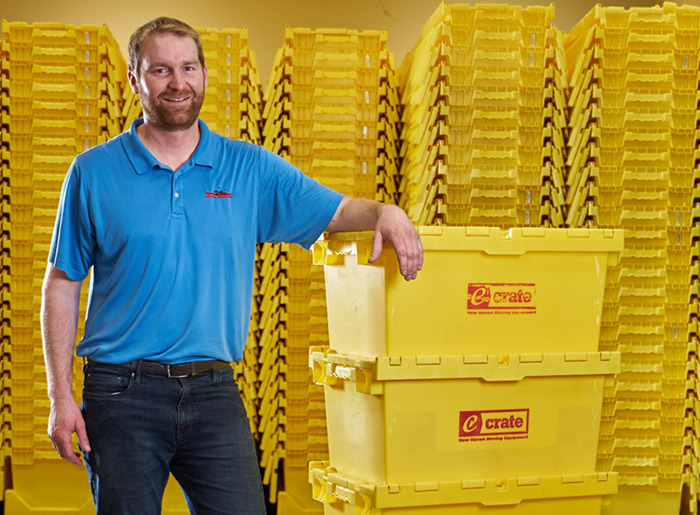 The ease with which you can pack, stack and roll E-Crates® allows you to save time and avoid higher labor costs. 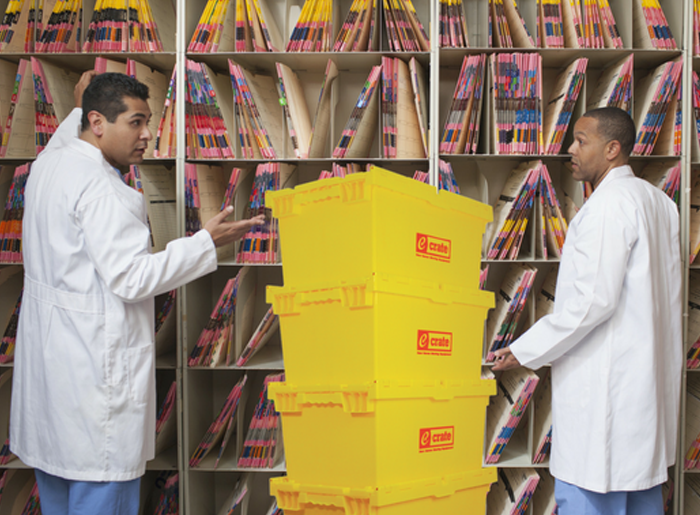 E-Crates® meet HIPAA guidelines so you can be assured that you can legally move and store your most valuable & sensitive documents with utmost security. 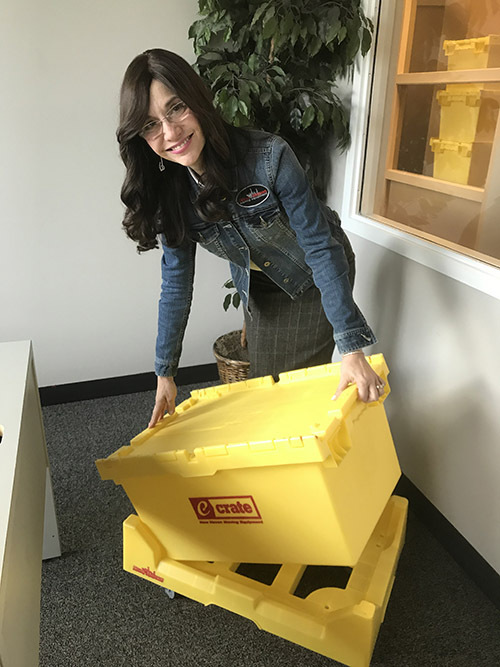 Made from 10 lbs of high density polypropylene with reinforced corners and sidewalls, E-Crates® are ruggedly durable and can easily withstand multiple, rigorous uses. 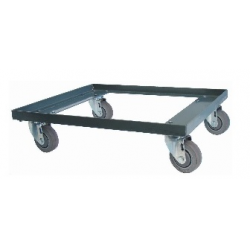 A stack of 4 E-Crates® on a dolly provides you with a 900lb capacity. Custom colors and imprints available with a minimum purchase. 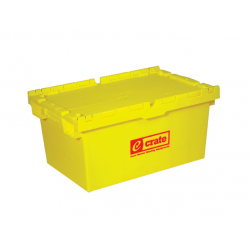 E-Crates® are environmentally friendly and allow you to avoid cardboard waste. 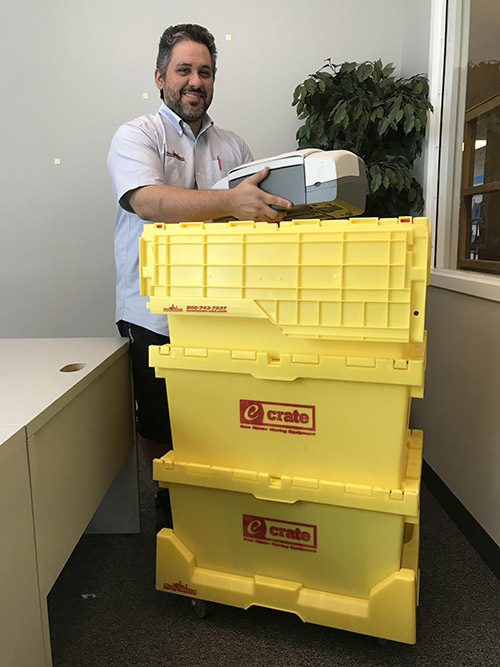 New Haven’s Lateral File E-Crate® has the same exclusive advantages and benefits of the NH280 E-Crate®, but its larger size is designed to fit the entire contents of a lateral file so often used in offices. 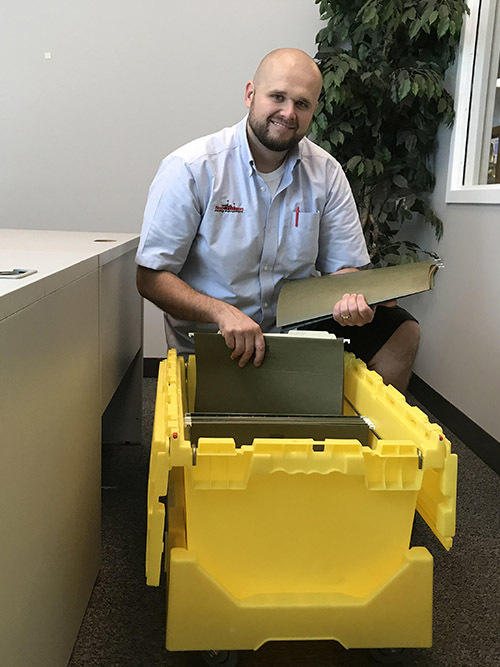 You can easily move the contents of a lateral file drawer to your E-Crate® in one fluid motion, and letter or legal folders can be stacked width-wise. Three Lateral File E-Crates® can be rolled effortlessly on Hew Haven’s Lateral E-Crate® Dolly. 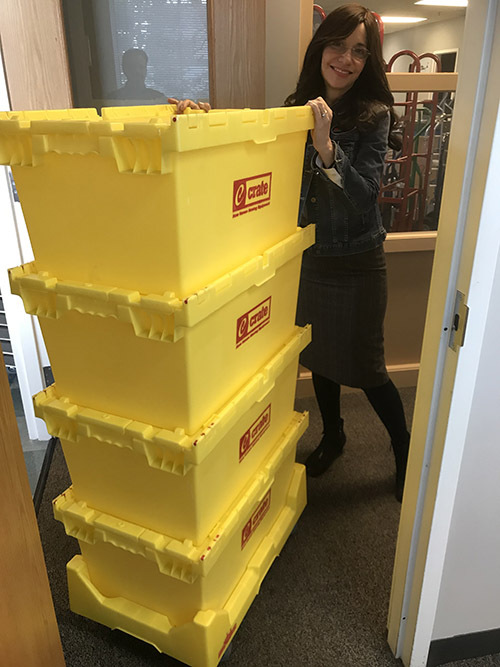 The New Haven Computer IT E-Crate® has the same advantages and benefits of the NH280 E-Crate®, but its larger size and specialized shape are specifically designed for the transportation of larger items and computer equipment. 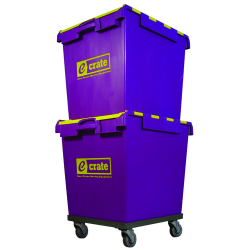 A unique steel dolly is the perfect fit for rolling two fully loaded IT E-Crates®. 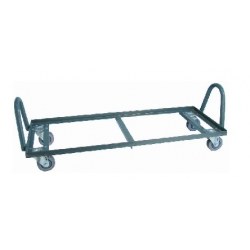 STEP A - Set your first E-Crate® on top of your E-Crate® dolly and open the lid. STEP B - Pack your goods. 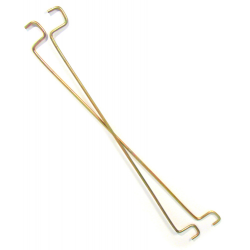 You may use optional letter or legal bars to easily load hanging files directly from your file cabinet. STEP C - Close the interlocking lid as pictured above so that the l id is flat. Attach security ties & I.D. labels if desired. STEP D - You never need to lift a heavy box or carton again. 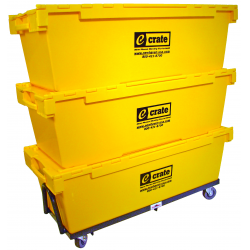 Simply stack your empty E-CRATE on top of the bottom E-Crate® and begin packing. 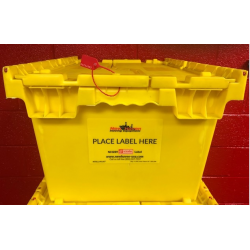 Once you are finished, close your E-Crate, stack another empty E-Crate® on top, and begin packing. Continue until you have packed all 4 E-Crates®. 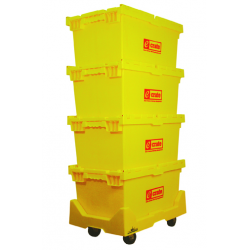 STEP E - Your stack of E-Crates® (up to 4 high) can be easily rolled around the tightest spaces with very little effort or exertion.